One of the most luxurious and wealthiest neighbourhoods in Madrid is famous for its’ wide streets, grand buildings with exquisite façades dating back to 19th, many of which were palaces, when the district was created by Marqués de Salamanca as an upper-class haven. 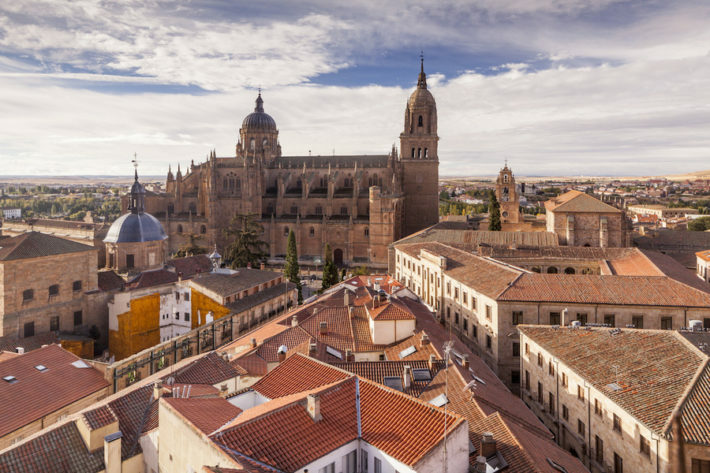 Taking this and the huge real estate prices into consideration, Salamanca remains an elite neighbourhood, home to the wealthiest and famous ones. The main shopping boulevards in the Spanish capital – José Ortega y Gasset, Claudio Coello and Serrano – can be found in Salamanca district. Stroll along the so-called “Golden Mile” and find many well-known luxurious stores, among which are Versace, Hermès, Louis Vuitton, Chanel, and so on. This Fifth Avenue look-alike in Madrid is a meeting point for celebrities, famous people and it is usually packed with tourists as well. Salamanca neighbourhood houses some of the most sophisticated, renowned restaurants in the city. Coincidence or not, there are five (out of the all fourteen) Michelin-starred restaurants (Ramón Freixa Madrid, Kabuki Wellington, Álbora, A´Barra, and Punto MX) in the district. Without the fancy restaurants, there are many various options offering both Spanish and other cuisines. If you want to taste the best Tortilla española (Spanish potato omelet) with a well-done exterior and quite a gooey interior, Casa Dani is the place to get it. Lying South of the neighbourhood, with Plaza de Independencia as one of the many entrances to it, this huge green area is the heart of the city. 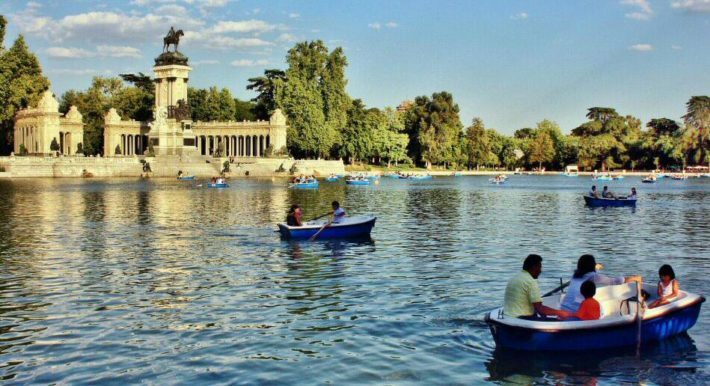 It is the perfect parc for taking a stroll through one of the many gardens, working out or indulging in some cultural activity, as it is filled with monuments, sculptures, exhibition halls (such as Velázquez Palace or the majestic Palacio de Cristal), event venue and much more. As well as a regular student accommodation place, it is now a cultural center, as back in the day (early 20th century) it was home to many famous artists and authors, such as Salvador Dalí, and was frequently visited by great minds such as Marie Curie and Albert Einstein. The largest public library in Spain and one of the largest ones in the world. If not for the library itself, Spain’s National Library is a must visit to appreciate the architectural masterpiece. Each better than the last museums – Archaeological Museum (Museo Arqueológico Nacional), very famous Prado museum (National art museum), Museo Lázaro Galdiano and many more. The beautiful capital of Spain sure has plenty of trendy and chic neighbourhoods, all lively and charming in their own sense. 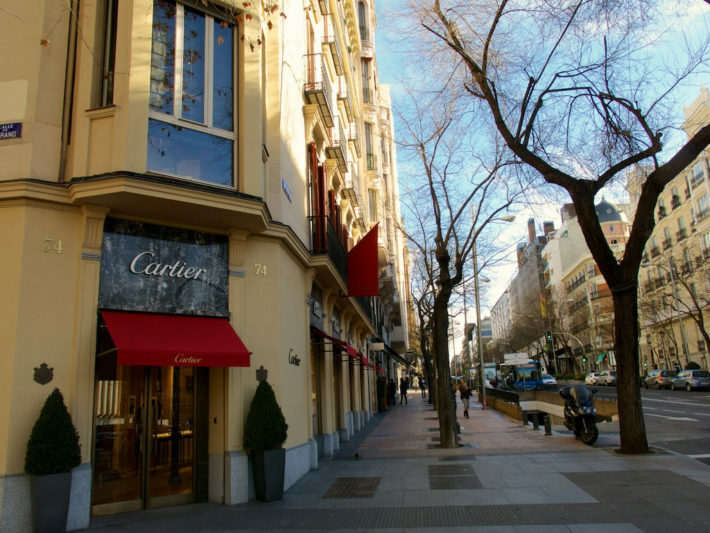 The Salamanca district or Madrid’s own Upper East Side is obviously a wealthy and luxurious district but has more than famous designer stores to offer. Visit the neighbourhood and indulge yourself in countless cultural activities, admire old Spanish architectural masterpieces and taste some of the best food in the city!